[PDF] The Book of Marmalade (English Kitchen) | Free eBooks Download - EBOOKEE! Posted on 2018-01-09, by luongquocchinh. Description: Marmalade is particularly British creation, even though its origins lie abroad, and its charms have been exported to the wider world. C. Anne Wilsons book was first published in 1986 by Constable, reissued in Britain (Prospect) and the USA (Pennsylvania UP) in 2000, and now takes its place in Prospects English Kitchen series. 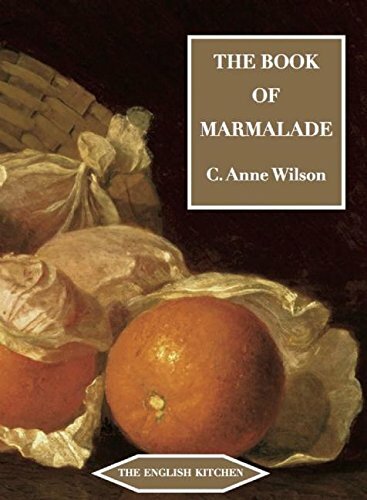 It offers a history of marmalade in Britain from its origins as a quince conserve in medieval times, through its first commercialization in Scotland in the 18th century, to its dominant place in the British jam cupboard and on the breakfast table in the modern era. The first edition has been updated to take account of most recent developments. No comments for "[PDF] The Book of Marmalade (English Kitchen)".